Grade school teacher Carson Alexander has a gift—a gift that has driven a wedge between him and his family. Worse, it’s put him at odds with God. Feeling alone and misunderstood, Carson views God’s gift of prophecy as the worst kind of curse…that is until he meets Lorelei Conner, landscape artist extraordinaire, and perhaps the one person who may need Carson and his gift more than anyone ever has. Lorelei Connor is a mother on the run. Her abusive ex-husband has followed her all over the country trying to steal their daughter. Distrusting of men and needing to keep on the move, she’s surprised by her desire to remain close to Carson Alexander. 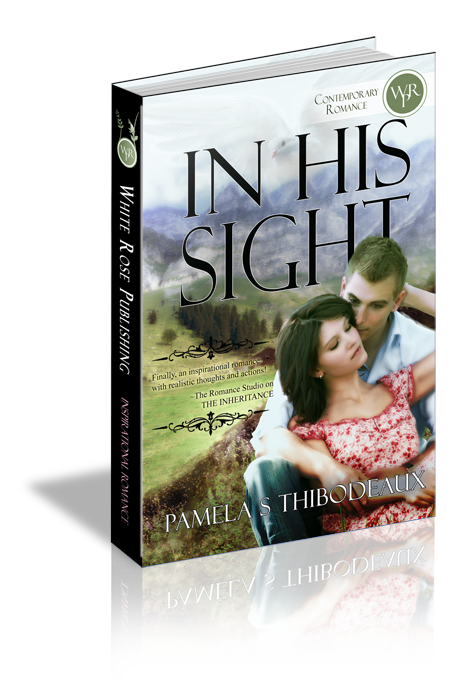 Through her fear and hesitation, she must learn to rely on God to guide her—not an easy task when He’s prompting her to trust a man. Can their relationship withstand the tragedy lurking on the horizon? Lorelei Connor scoured the atlas on the coffee table. Her eyes searched far from the small town where she resided. The tick of the clock on the mantle above the fireplace reminded her time had run out. Fear crawled up her spine. They had lived in one place for too long. It was time to move on. She closed her eyes, placed the red marker over the state of Tennessee and let the Lord lead her hand. She gazed down at the circle just southeast of Nashville. Stars Crossing. The name leapt out. She did a quick search on the Internet for specifics and clicked on the “Real Estate” link to verify available housing. A note on the page caught her eye. Handyman needed for maintenance and minor repairs of properties owned by agency. Emailed resumes accepted. Her soul danced in excitement. Lorelei closed the laptop and eased off the bed with a sigh. Weariness dragged at her. She understood how Laurel felt. She, too, despaired of the constant moving. Maybe this time she’d find the peace she craved and a quiet, unhurried lifestyle where she felt safe. She returned to the living room and emailed her resume to the real estate agency. Two days later she and Laurel hit the road, everything they owned in the backseat and trunk of her car. Five days after leaving Wyoming, they arrived in Stars Crossing, Tennessee. Within hours Lorelei had a place to live, a job, and Laurel was registered for school. Q1. Despite her faith in God, Lorelei has a habit of running when afraid. Do you ever run from your fears instead of standing on your faith and trusting in God to deliver you? A1. The bible states "No weapon formed against you shall prosper" but most people run from or ignore their fears and pretend everything is all right in their relationship with God. However, this is not how God would have us behave. Running instead of standing, struggling instead of trusting, etc show a lack of faith and without faith it is impossible to please God. Turn to Him even when all you can say is "I don't understand but I trust You" and He will show Himself strong on your behalf. Q2. Carson is angry with God. What he thought as a gift has been deemed a curse and caused pain, heartache and devastation in his life. Have you ever considered something a gift from God only to have whatever it is turn around and "bite you in the behind" so to speak? A2. The bible states that every good thing comes from the Father but as humans, we tend to neglect or abuse His gifts to us. If your 'gift' has lost its luster, prayerfully consider whether or not you are partially at fault and if so, repent--for God is ready to make that gift shine again ~ for His glory and your good. Q3. Carson's 'gift' is prophetic or psychic capabilities. When he reveals this ability to Lorelei, she makes the statement. Regardless of the origin of their faith or level of belief, many are afraid of the supernatural. Have you or someone you know had supernatural or 'other worldly' experiences? Do you believe in such? Would you say it is possible today for someone to possess these capabilities and them not be fraudulent or demonic in nature? A3. In the book of Joel, God says "It shall come to pass, that I will pour out my Spirit upon all flesh; and your sons and your daughters shall prophesy, your old men shall dream dreams, your young men shall see visions" We should not be quick to judge when someone says he or she has heard from God or that God showed them something in a dream or vision. Jesus is the same today, yesterday and forever and if He gave that ability to prophets of old, He can and will give it to modern prophets. That's not to say we shouldn't examine the fruit and check the word, dream or vision against the bible and what God says, but let's not discount what may be a rare and precious gift from God. Let's not covet the gift either, but trust if God gives that to you, He has a purpose for doing so. Q4. When faced with the choice to meet them, Lorelei is afraid Carson's family will judge her harshly for her relationship with his sister's husband, regardless of the true circumstances surrounding her marriage to him. Have you ever judged someone before finding ALL the facts? Have you judged yourself over some situation in which you were actually a victim? A4. Jesus said, "Judge not lest ye be judged for with what measure you judge, it'll be judged unto you." As Christians we are called to not judge, this is especially true when we judge on circumstance and appearance alone without the truth, the whole truth and nothing but the truth. Even if we know the truth, it is not up to us but to God to pass judgment. If you're in the habit of judging others - please stop, repent and seek forgiveness and deliverance. If you're good at wrongly judging yourself, seek the face of God and His strength to overcome this terrible trait and find the peace Jesus died for you to have. Q5. After Laurel's father finds them at a convenience store on their way to Carson's childhood home for the Christmas break, Carson questions whether he missed God during the pre-holiday madness. Have you ever missed God's direction during a hectic time in your life? How did you recover and get back on track with His plan for your life? A5. We all go through times of turmoil and tragedy. Times when we can do nothing but cling to God and reiterate our trust in Him. If you continually miss His direction due to chaos in your life, make the time to sit in His presence daily so that when real issues rise up, you'll be a victor and not a victim of/over circumstance(s).